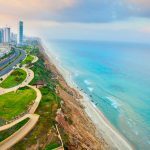 Founded in the early 20th century, on the sand dunes north of Jaffa, Tel Aviv has undergone meteoric growth in the little over 100 years of its existence. Starting with just 66 families, the neighborhood of Ahuzat HaBayit quickly attracted others to establish their homes in and around what is now known as Rothschild Boulevard. 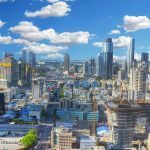 When the British Mandate took charge, in 1917, Tel Aviv was already a thriving city and in the next 30 years it would go from strength to strength. It was in Tel Aviv that David Ben Gurion declared the State in 1948 and, today, nearly 20% of the country’s population lives or works in the greater Tel Aviv area. The city itself is a hub of business and commerce, and whilst Jerusalem is the capital of the State of Israel, most counties have their embassies in Tel Aviv. In terms of art, culture, cuisine and nightlife, Tel Aviv has it all, and is now known as a world-class city for tourism. I’s beautiful golden beaches that stretch for miles are beloved by locals and tourists alike, and the promenade is perfect for walking on or cycling. Tel Aviv has hundreds of coffee shops, restaurants to suit every taste, and concerts every night – classical, jazz, blues, and Israeli pop are all popular. Tel Aviv is also known as the ‘White City’ because of its endless Bauhaus buildings (many have been restored to their former glory). There are several excellent museums, the large HaYarkon park in which to cycle and row a boat, and an extensive network of bike lanes. Culture, style, months of sunshine and golden beaches – it’s the perfect place to take a break. Tel Aviv’s beaches literally stretch the entire length of the city – from Jaffa in the south to the Tel Aviv Port (the ‘Namal’) in the north. For ease, the beaches are all given names, and each of them has its own flavour. The entire length of the beach are wave-breakers, making the sea very calm and perfect for swimming for at least half the year. There are plenty of cafes, bars and restaurants on the beaches, and chairs and umbrellas are all for hire. Entry to the beaches themselves are free and are easily accessible from the promenade. The Carmel Market (or ‘Shouk ha Carmel’ as it’s fondly known by locals) is a large, vibrant and bustling market in the heart of Tel Aviv, off Alleneby Street and next door to Nahalat Binyamin (a pedestrianised area which hosts a crafts market twice a week). The Carmel is a Tel Aviv landmark – loud, colourful and an experience just to walk through. Whether you need fresh fruit and vegetables, fish, cheeses, olives or breads, you can find them here – and at competitive prices. The market also sells household goods and boasts many cafes and small restaurants where you can buy cheap and tasty ‘street food.’ On Friday afternoons, before the Jewish sabbath comes in, it really comes to life. Simply put, the Carmel is unmissable. 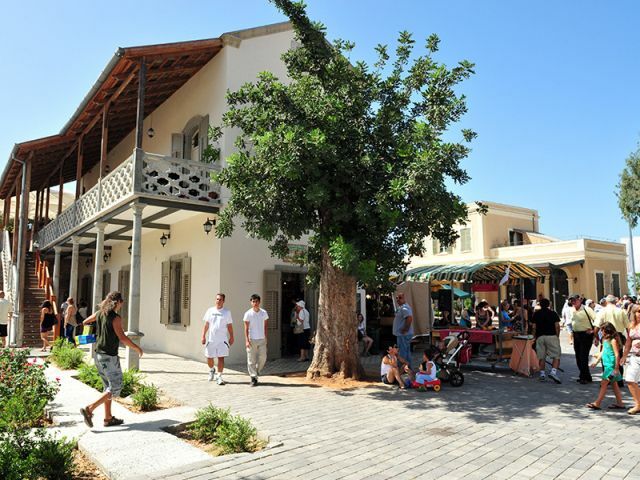 Nahalat Binyamin is a pedestrianized street in Tel Aviv. right in the heart of the city. Famed for its fabric shops and unusual architecture, on Tuesdays and Fridays the area is packed full of local artists and craftspeople selling their wares. The criteria for having a stand is that the goods must be handmade Israeli products. and what you can see there is amazing – ceramics, jewellery, glassware, paintings, soaps and knitted goods. It’s a wonderful place just to walk (stop for a coffee in one of the numerous cafes) and pick up souvenirs for your family and friends. The ‘lungs’ of Tel Aviv, Park HaYarkon is home to a rowing club, a climbing wall, a range of exercise areas, playgrounds, and a petting zoo. With its river (and rowboats for hire), it’s a beautiful green area in which to spend a pleasant few hours. Park Yarkon is located in the north of the city, and backs on to the Tel Aviv port (the ‘Namal’). The old train station in Jaffa was taken out of service long ago, but don’t imagine it’s been entirely abandoned. On the contrary, the entire area has been completely renovated, taking care to preserve the original buildings, and is now a wonderful area to walk, get coffee or lunch, and generally enjoy yourself. Full of shops and restaurants, it holds regular events (especially Food Fairs) and has occasional outdoor markets. 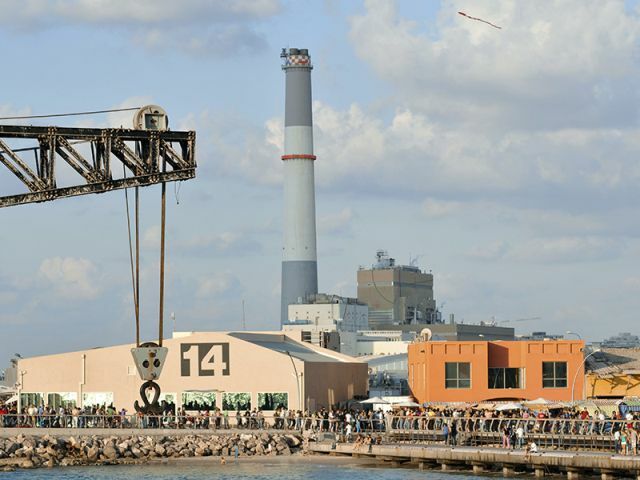 The old Tel Aviv Port became derelict in the 1950s but in the last 10-20 years has undergone an enormous, and very successful, renovation. Today, its empty hangers and now home to wonderful restaurants, bars, shops and clubs. The attractive broad walk allows for a very pleasant stroll through the area where there is often outdoor entertainment. With lots of parking, its a perfect place to come for dinner, or take the kids for an afternoon out. You can see fishermen sitting quietly, and lone locals reading books or just staring at the Mediterranean. Saturday (the Jewish sabbath) is always very busy, and on Fridays between 9-3pm there’s a farmer’s market, which never fails to delight the local foodies. Gordon Active offers fully-guided bike tours of Tel Aviv, and it’s certainly a wonderful way to see the city. A professional guide will expertly lead you through the bike lanes and parks, stopping to explain the history of the city and its sites along the way. 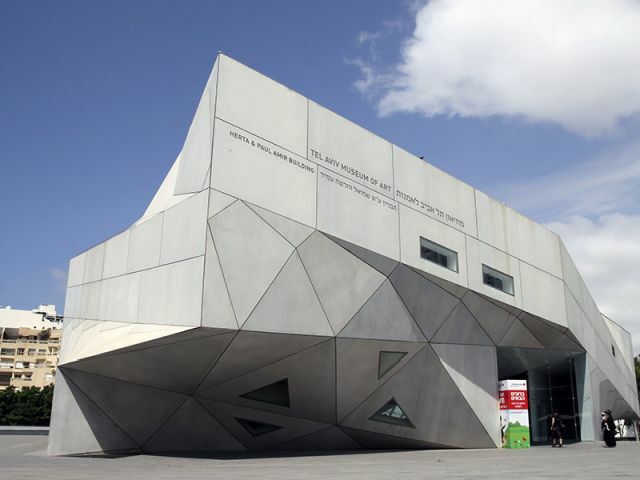 The Tel Aviv Art Museum was originally established in what is now Independence Hall in 1933; it moved to its current location on Shaul HaMelech Boulevard in 1971. A sprawling museum with a Department of Israeli Art,it has some impressive permanent collections of art and is renown for its exhibitions. In addition to the department of Modern and Contemporary Art, there is a department of Prints and Drawings; a department of Photography; a department of Architecture and Design and an Old Masters collection, spanning works from the 16th to 19th century. The museum also hosts activities, concerts, and lectures, and its atmosphere makes it a wonderful place to spend either a hot or cold, day. The Yitzchak Rabin Center is located close to Tel Aviv University, in the north of the city. It acts as a national institute, with the aim of advancing real engagement between various sectors of Israeli society. A major part of it is the museum which maps out not only Yitzchak Rabin’s life but simultaneously the development of the state of Israel. Using hundreds of short films, the museum encourages its guests to engage in various turning points in the State’s history. struggling with its dilemmas and addressing contemporary issues. It is a must-see for anyone interested in how Israel came into being as a state, and for those who are prepared to grapple with its ongoing complexities. 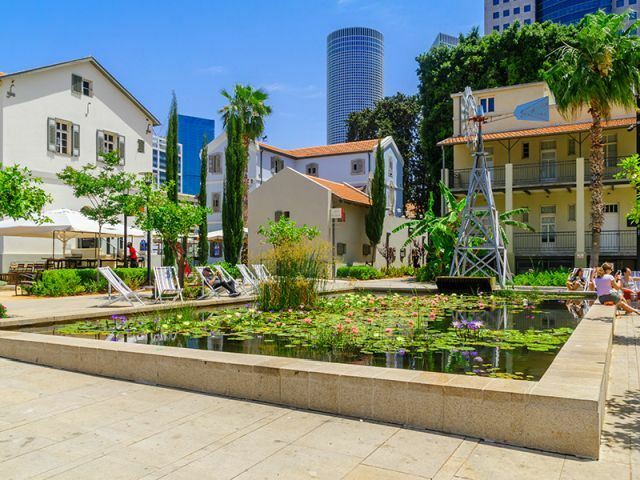 Located close to Tel Aviv University, this museum can be easily coupled with a visit to the Palmach Museum or the Rabin Museum. Covering a large area, and including the genuine archaeological site of Tel Qasile, the museum incorporates many permanent exhibition. 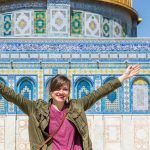 Focusing on the history of the land of Israel, it takes visitors through material culture, the evolution of coinage in the land, and local folklore (and much more). The museum also features a planetarium and many temporary exhibits. The Land of Israel Museum (Eretz Yisrael Museum) is a must for understanding the history of this country and its peoples’ connection to it. Located on Rothschild Boulevard, and the original location of the Tel Aviv Art Museum, Independence Hall is the place where David Ben Gurion stood up and declared the existence of the State of Israel in 1948. 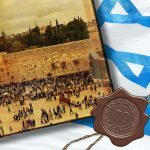 A visit is made up of a short movie which covers the history of the building and of Tel Aviv, and then a guided tour in the room in which the Declaration was made. Whilst the movie isn’t particularly interesting, the guided tour is wonderful, and to be able to sit in the very room in which this moment took place can send goosebumps up your arm! Do be sure to take the guided tour; it costs a little more, but is well worth it. It’s hard to call the Palmach Museum a museum, because it contains no artefacts. However, it relates well to history and in a unique and impressive manner. Following the lives of a group of young men and women who are part of the Palmach underground fighters, at the end of the British Mandate, visitors are taken back in time on a remarkable journey. Everything is visual – and you go from room to room, following the characters as they go through their basic training, are sent o various missions and assigned different roles. Through their story, you learn about the realities of British Mandate Palestine for the Jewish residents, especially in the horror of the Holocaust. Walking through takes about an hour and a half and engages you at a deep sensory level. It’s hard not to emerge with a much deeper understanding of the modern state of Israel. This is a museum that tends to get booked up ahead of time (it’s extremely popular with groups of schoolchildren) so be sure to book in advance.